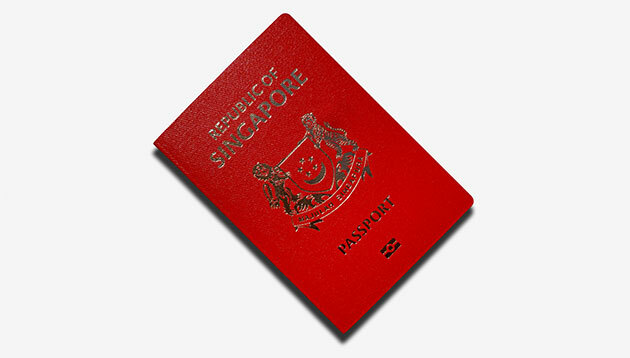 Singapore now ties with Germany for the second-most powerful passport according to the latest Henley Passport Index. 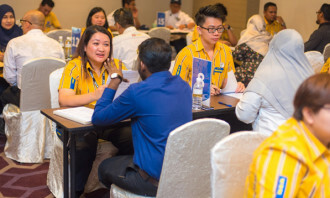 Countries that Singaporeans can visit without a visa include Morocco, Sweden, Mexico and Fiji to name a few. 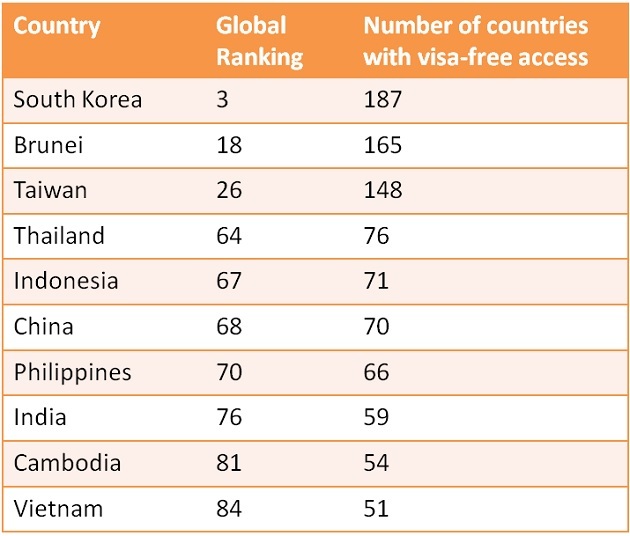 Malaysia does not fall too far behind, having visa-free access to 180 countries and ranking at number eight along with Hungary and Slovenia. The country has climbed up 4 ranks since ranking at 12 earlier this year. Meanwhile, Hong Kong ranks at 16 having visa-free access to 169 countries. 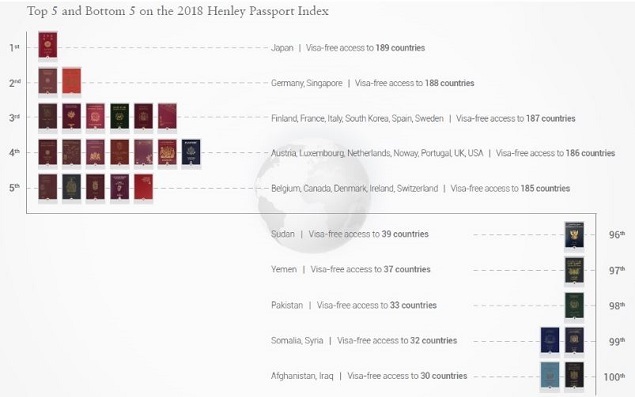 The Henley Passport Index, surveys a total of 199 different passports against 227 different travel destinations, including countries, territories, and micro-states. It is based on data from the International Air Transport Association (IATA).